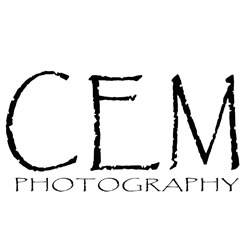 Please Contact CEM for a complete list of portrait package pricing. Sessions can be done either in studio or on location. Your choice. The "Watch Me Grow" Newborn Collection ($350) - A wonderful way to record how fast they grow. This package consists of 4 sessions (maternity, newborn, 6 months, and 12 months). Each session lasts around 2 hours, just depending on the mood of the moment. Lots of freebies included in this package (i.e. prints from each session, online posts, ornaments at the holidays). Also receive discounts on future sessions and priority booking for your sessions. For pricing on events, such as wedding, engagement sessions, bridal portraits, youths sports, birthdays, anniversaries, corporate events, or other gatherings please email or call for a quote.